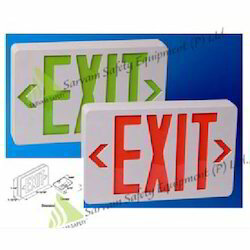 With highly driven ethnically excellence, our organization is actively committed to offer a wide assortment of excellent quality Emergency Exit Light to our clients. Used to illuminate the exit pathway of a building when electrical power is interrupted, this exit light has become the first choice of the clients. Our offered exit light is manufactured at vendors' end using high grade basic materiel and advanced technology in compliance with set industry norms and conditions. 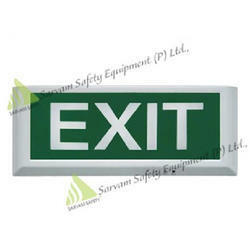 Moreover, clients can avail this exit light at most reasonable price. Looking for Emergency Exit Light ?